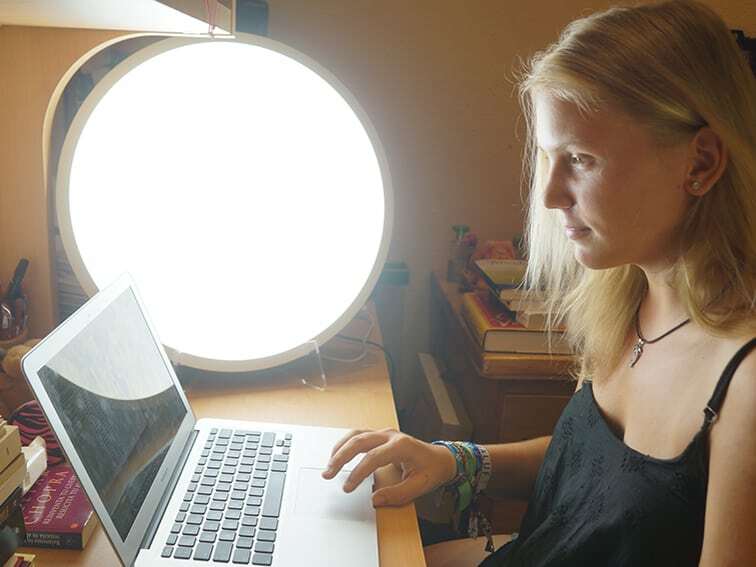 In 2005, The American Psychiatric Association completed a study of the therapeutic value of treatments with light and light therapy in the Northern countries and concluded that light therapy lamps emulating solar light reduce significantly depression, with as much result as psychotherapy and medication with antidepressants. Using Dr. Lefebure Methods® Natural Light alleviates the sensation of tiredness and fatigue at work and favours empathy and intuition, as well as improve concentration. Many cases of insomnia can be cured with baths of light, the recovery of natural biological cycles induces restful sleep and liberates the tensions that impede sleep. Improvement of the symptoms of depression can be achieved for both seasonal and non-seasonal cases. 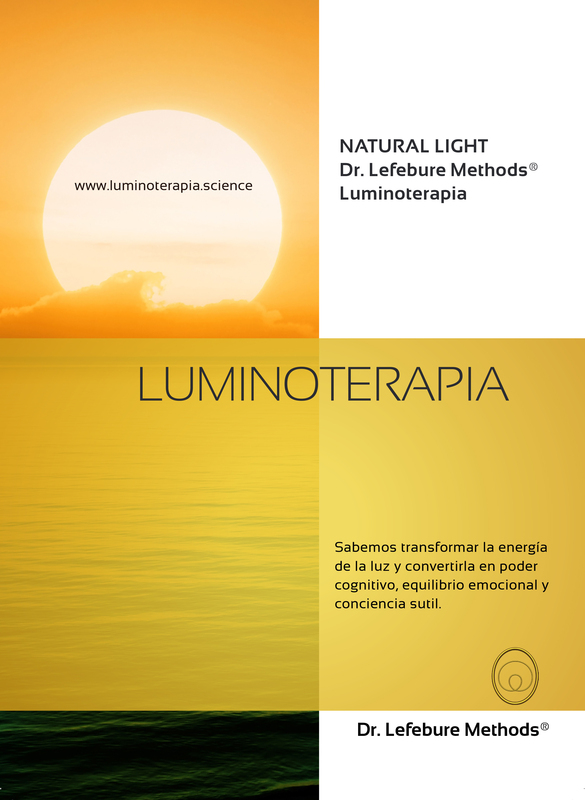 The explosion of energetic light produced by Dr. Lefebure Methods® Natural Light manifests itself in a clear and sustained increase of vital energy and optimism. Natural baths of light improve all your aptitudes and increase significantly your vital energy. Light therapy sessions with Dr Lefebure Methods® Natural Light regulate your internal biological clock, balance your circadian cycles, power up your nervous, immunologic and endocrine systems, and help producing the hormones necessary for well being and good mood. To be always alert is not a natural situation and it ends up consuming the organism’s reserves, the sympathetic system manifests itself with force, with the production of adrenaline, cortisol, etc. When we are near light, we do not get so stressed out. We all appreciate sitting round a fire and find it a comforting experience, something very pleasant. Similarly, when we are in sunny places, it becomes very easy to relax and let go in the light. 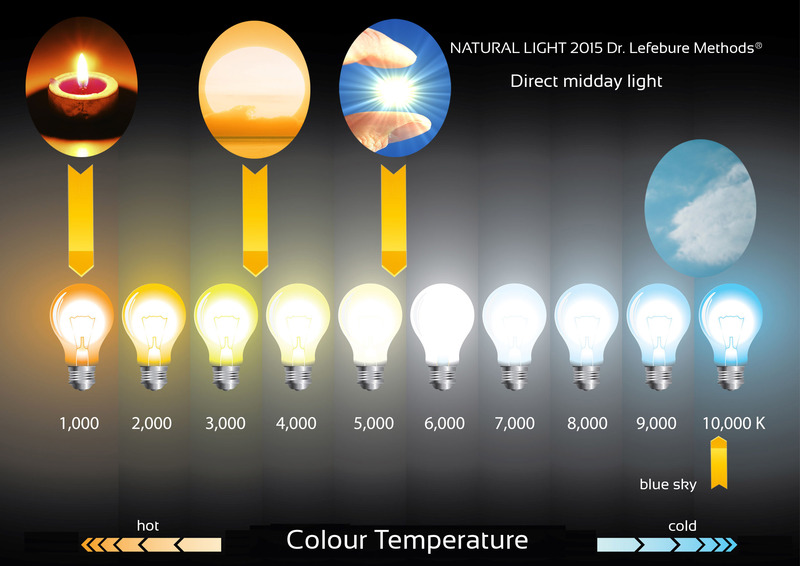 For more than 60 years, Dr Lefebure Methods has worked with light and its applications. It would take entire books to compile the thousands of testimonies we have received from people who have successfully changed their lives thanks to Dr Lefebure’s techniques. It is the non-chemical interaction between biological systems that coherently structures cellular physiological functioning. This communication is carried out by what has been called biophotons, a chemical luminescence of ultra weak intensity that does not originate from enzymatic reactions. Biophotons form a diffused and dispersed light emitted by cells. Its principal characteristic is that, like the laser, it is coherent and structured. This inner light phenomenon offers an explanation for the extreme speed of cellular communication, which happens to be greatly superior to the speed of biochemical processes. The electromagnetic coherent fields of the biophotons could be regulating physiological processes. According to Nobel Chemistry Prize Luc Montagnier, DNA transports its structure to other molecules by means of electromagnetic signals. German Physicist Frizt-Albert Popp postulates that it is DNA too, that generates the coherent patterns of interior light by absorbing solar light, as well as other means. The great coherence of the inner light of the biophotons could be responsible for cellular communication as well as an important transfer of energy. In the domain of health, Popp’s works illustrate that the coherence of the light emitted is a guide of how well an individual is. In case of a physical or psychic disorder, the light emitted by the body stops being coherent; our health seems to depend on the coherence of our interior light. In a similar line of research, with light as a common denominator, Doctor Esther Del Rio has based part of her investigations on demonstrating that the water in the human body is composed of “clathrates”, that allow light to be transmitted almost immediately anywhere in the body, and that form molecules of liquid crystal relating together in a magnetic network. According to her, light travels through our entire organism carrying information. When there is not enough daylight, the pineal gland keeps producing melatonin, the sleep hormone, during the day. If I have questions about the utilization of the Natural Light Lamp, is there assistance available? Of course, you can contact us by phone: 934909128 or 609331111 and by mail: fosfenismo@fosfenismo.org we also have a virtual classroom that allows us to interact together as if we were in a conference or a workshop. 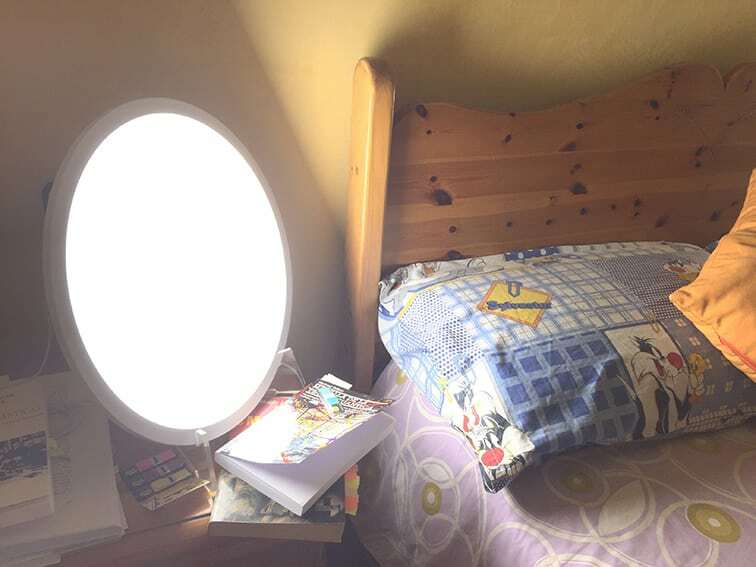 I have seen that there are other applications for the Natural Light Lamp besides therapy and education. 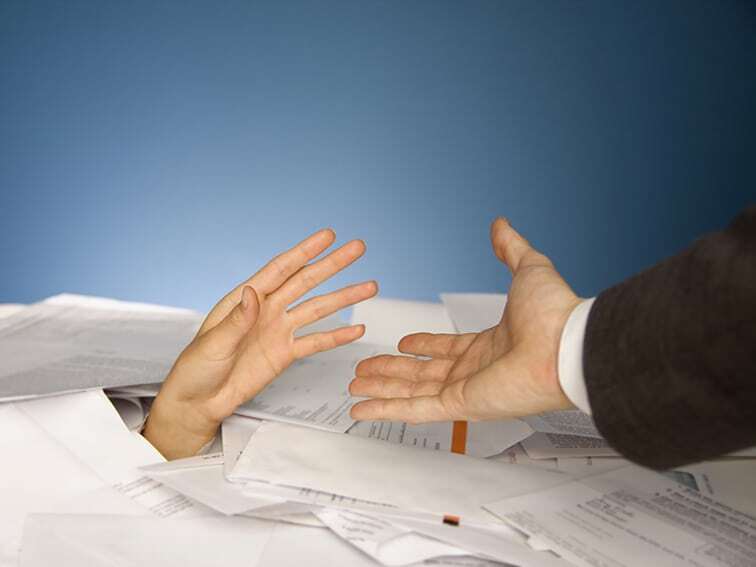 How can I get more information? In Spain and Latin America, we have been conducting courses for 25 years on how to convert the energy of light into cerebral energy, emotional balance and subtle consciousness. All you have to do is contact us and we will provide you with the details of the courses that are the closest to your place of residence. Are there any contraindications to the use of Natural Light Therapy? If you are going to use the Natural Light Lamp for baths of light and light therapy, there are no contraindications. If you are going to use it for the educational applications of Dr Lefebure’s Methods®, i.e. for producing phosphenes, the only contraindication is the glaucoma. If you suffer from that condition, you cannot do phosphenes at all. Also, if you have undergone any type of eye surgery, you have to wait for a full year after the date of the operation before you can do phosphenes again. Does the Natural Light Lamp use a lot of power? No, it only consumes 55 w.
Does the Natural Light Lamp take a lot of space? In spite of its diameter of 50 centimeters, the lamp is not very deep, and it can fit in a space of 19 centimeters. Do not hesitate any more!